The coaches and players of Auburn and UCF had the opportunity to tour the Martin Luther King Jr. National Historic Site and hear first-hand accounts from Civil Rights leaders Dr. C.T. 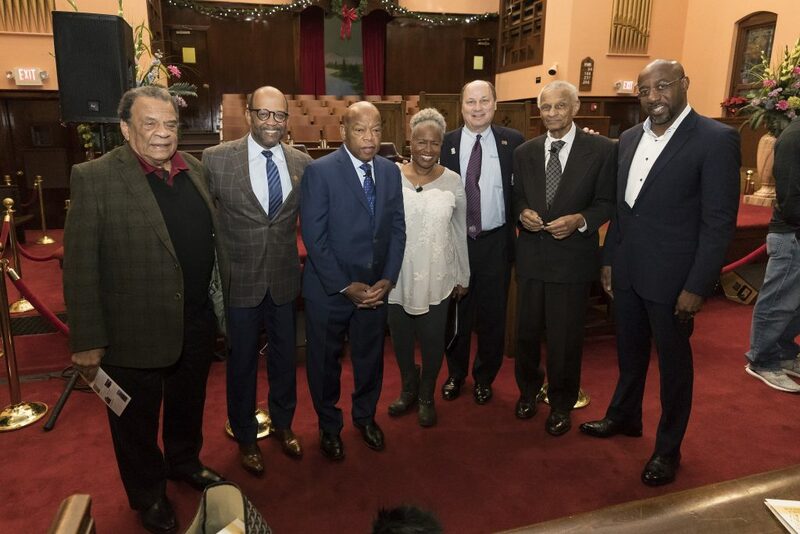 Vivian, Ambassador Andrew Young, and Congressman John Lewis at the Historic Ebenezer First Baptist Church. 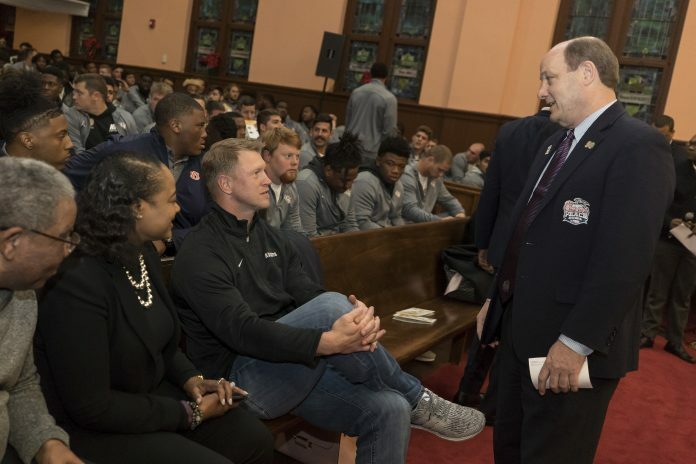 In the first round of press conferences both the Knights and Tigers recounted the humbling experience from those who walked with Dr. King during the Civil Rights Movement. Both teams will make a trip to local children’s hospitals as part of the charitable effort made by the Peach Bowl to impact the patients as well as the student-athletes before New Years. A video of the event will be provided by the Peach Bowl due to space and privacy limitations.